If you thought Sean Connery’s Russian accent in The Hunt for Red October was a complete joke, now’s your chance to show him up. The creators of War Thunder have unveiled their next project – a nuclear submarine game called Silent Thunder – and you can download and play a test version right now. Here’s our list of the best tank games on PC. Silent Thunder puts players in control of a selection of the most powerful submarines ever created, facing off as Great Britain, the United States, and Russia in stealthy undersea combat. 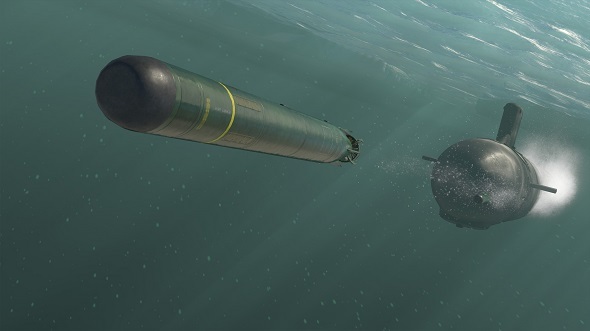 Developers Gaijin Entertainment say each vessel has a unique loadout of torpedoes and missiles, and include the Russian Yasen-class submarine, the British Vanguard-class, and the American Virginia-class submarines. Players can access the Silent Thunder test version through the War Thunder client (which you can download here) this weekend, beginning now and ending 6:00 a.m. Eastern on Monday. You can find out more about Silent Thunder and the submarines its featuring over at the official site.